amounts will be used in the computation of the amount to be reimbursed to the school district on behalf of that instructor. to be used in the reimbursement computation. This form will be used to certify Basic Allowance for Housing (BAH), Overseas Housing Allowance (OHA), and Cost of Living Allowance (COLA). Hawaii; Part A, and all of Part B must be completed by instructors employed overseas. Specific instructions are provided for several items. 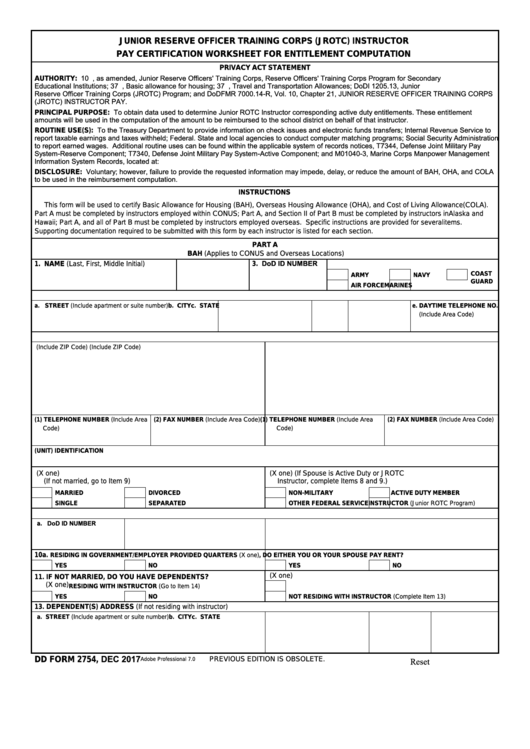 Supporting documentation required to be submitted with this form by each instructor is listed for each section. b. IF YES, DO EITHER YOU OR YOUR SPOUSE PAY RENT? 11. IF NOT MARRIED, DO YOU HAVE DEPENDENTS?